As an experienced accommodation provider, you’ll know that when it comes to doing any kind of email marketing your customer database is your greatest resource. Using special offers to encourage previous guests to stay with you again can significantly boost business – particularly during quiet times of the year. In the past, one of the most time-consuming aspects of doing this was manually compiling long lists of customer contact details. With new functionality on freetobook you can now run reports that allow you to see – quickly and simply – which customers have booked during a particular time period and the booking method they have used. You can also easily export those customer details into a spreadsheet, so you don’t have to type them all out again. Step2: Click on the “Diary” tab. Step3: Click on the “Reports” sub-tab. Once you’ve got all the details in a spreadsheet, you can easily use them for a mail merge or extract just the email addresses for a marketing campaign. 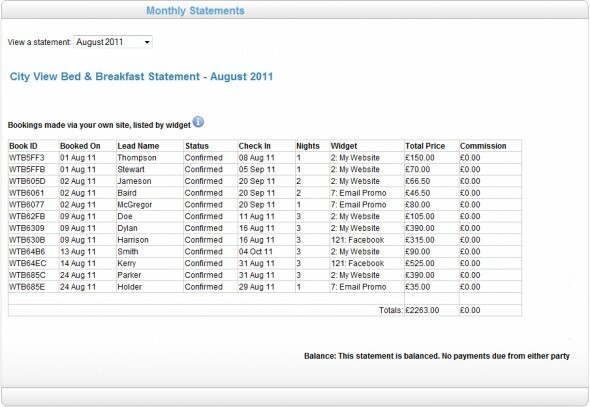 You can also manually fill in blanks or add any customers whose details you took over the phone. With bookings coming in from various channels, it is increasingly difficult to know where your customers first found you. A new, unique feature on freetobook helps you track where your bookings are coming from. Many of you are already using booking widgets in various places, i.e. in your special offer emails, on your facebook page, on your local accommodation association website. Now you can see which widget produced what bookings. Here you’ll be able to see a detailed breakdown of each booking. There’s also a “Commission” column. At present, nothing appears here. But in the future any commission deducted from bookings made though freetobook’s own sites will be listed in this column. All this is fairly standard, but there are some special features which are not available from any other online booking system. 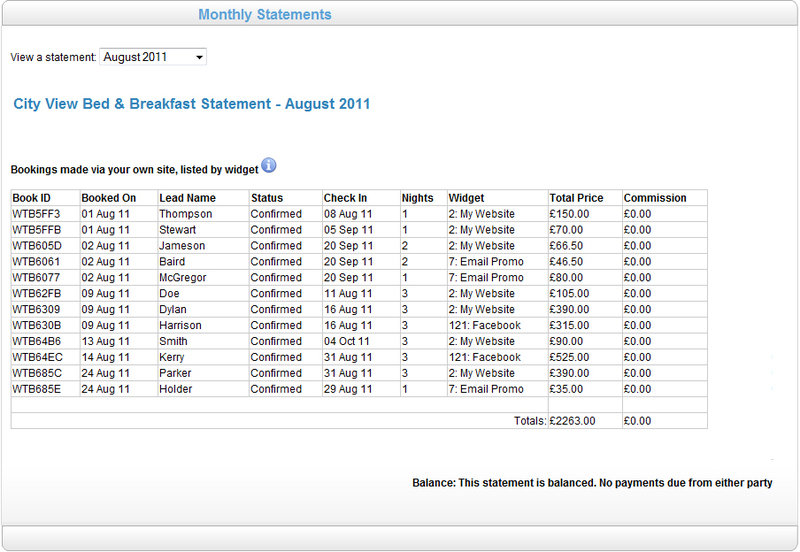 The “Widget” column allows you to see where each guest’s booking originated, e.g. your website, or via Facebook, or through an email. You can therefore tell exactly how much your Facebook page or any email campaign is helping you to get extra business. This is possible because the “Widget” functionality elsewhere on Freetobook allows you to give any new booking widget you create its own name.